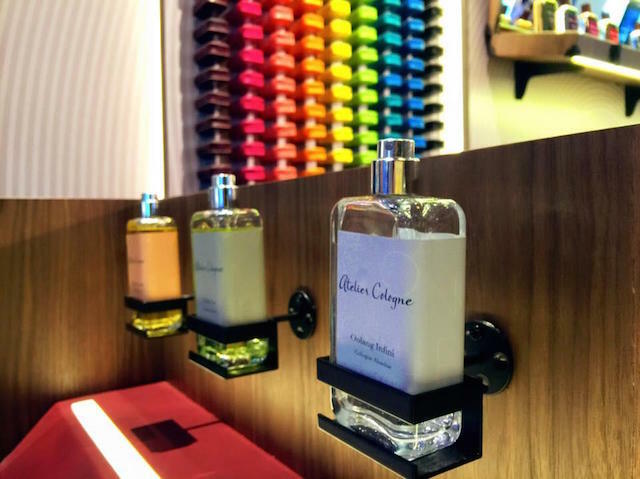 Parisian perfumery Atelier Cologne has opened a new store at IFC Mall. 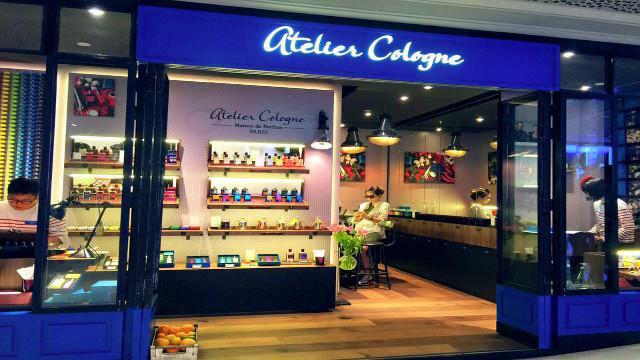 The Atelier Cologne Hong Kong store is the first for the brand in the city. The brand was founded in 2009 by Sylvie Ganter and Christopher Cervasel, who decided to pursue their passion for cologne and opened a boutique. Later, they created Colognes Absolues, a perfume line with 25 types of fragrances where each fragrance is blended with citrus base to create a longer lasting effect. The store also sells soaps, shower gels, body lotions and candles. The bold blue storefront really stands out among IFC Mall tenants, while inside the store features a more minimalist design using simple wooden furniture and furnishings and a sort of ‘modern laboratory’ feel. Perfumes are displayed in bottles with distinctive leather caps. After making a purchase, customers can have the bottles personally engraved.